The head of the Evangelical Lutheran Church in Papua New Guinea is calling for the Prime Minister to reconsider seabed mining. Pastor Kinim Siloi said, the church's 1.2 million members are opposed to the deep sea mining plans by the Canadian based company Nautilus. 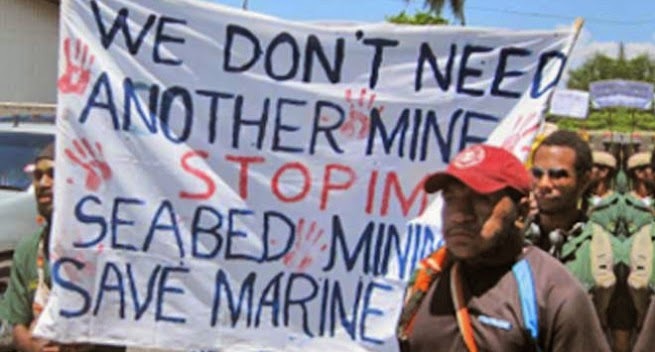 He said, he has written a letter to the Prime Minister Peter O'Neill calling for a re-think as there is already enough mining going on in PNG. He said, the church is concerned about the potentially disastrous environmental consequences of deep sea mining. "There will be disasters, and natural disasters happen anytime as we know. And we have already seen the effect of climate change along the coastal parts of Papua New Guinea and many islands. And if this seabed mining takes place, what extent of the damage will be done?" Pastor Kinim Siloi said, he has not yet had a reply from the Prime Minister.